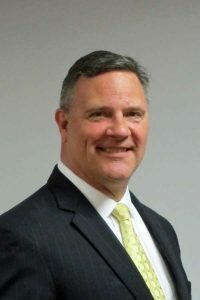 Paris and New York, April 22, 2019 – The International Chamber of Commerce (ICC) is preparing for the publication of Incoterms® 2020, an update of the renowned regulations that define the responsibilities of buyers and sellers operating in the international trade system, according to ICC’s American national committee, the United States Council for International Business (USCIB). Facilitating trillions of dollars in global trade each year, the “international commercial terms,” or Incoterms® rules, are a commonly accepted set of definitions and rules governing commercial trade activity. Nearly a century ago, following a series of studies conducted in the 1920s, the Paris-based ICC concluded that there was a need for the creation of a common protocol for importers and exporters everywhere. The first set of Incoterms® rules was published by ICC in 1936. Since then, ICC has periodically revised the Incoterms® rules to reflect changes in the international trade system. For the past decade, Incoterms® 2010 has provided critical guidance to importers, exporters, lawyers, transporters and insurers across the world. 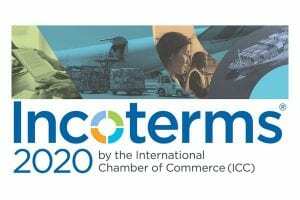 ICC is preparing for the official release of Incoterms® 2020 later this year. USCIB said that, joining with ICC chapters around the world, it plans to roll out training programs and seminars alongside the worldwide publication of the new terms. USCIB has established a central information page on its website for all the latest developments surrounding the introduction of Incoterms® 2020. Go to uscib.org/about-incoterms-2020 for more information. USCIB promotes open markets, competitiveness and innovation, sustainable development and corporate responsibility, supported by international engagement and regulatory coherence. Its members include U.S.-based global companies and professional services firms from every sector of our economy, with operations in every region of the world, generating $5 trillion in annual revenues and employing over 11 million people worldwide. As the U.S. affiliate of several leading international business organizations, including ICC, USCIB provides business views to policy makers and regulatory authorities worldwide, and works to facilitate international trade and investment. More information is available at www.uscib.org. This is a full day seminar of expert instruction covering the changes from UCP 500 to UCP 600 and how they apply to actual situations from application through presentation. No mere recitation of differences between one set of banker jargon and another, our instructors explain what the changes are and their significance in clear American business English. Price: $395 for attendees who register at least ten days prior to the seminar. Thereafter, the price is $425. (Includes a copy of the official Uniform Customs and Practices for Documentary Credits, ICC Publication 600 (UCP 600) as well as a copy of the new UCP 600 commentary, Letters of Credit for Americans. Note: 7 units of CTP/CCM recertification credits are available for this seminar from the Association for Financial Professionals. 7 PDU credits are available for this seminar from the International Financial Services Association (IFSA).